Purchase promotional sticky notes with a two colour custom print of your images and logos onto each individual page. We print these in Australia and offer a fast 1.5 week turnaround time. The displayed price for sticky notes includes a 2colour custom print of your desired graphics. There is no setup cost. All sticky notes are delivered within Australia only. 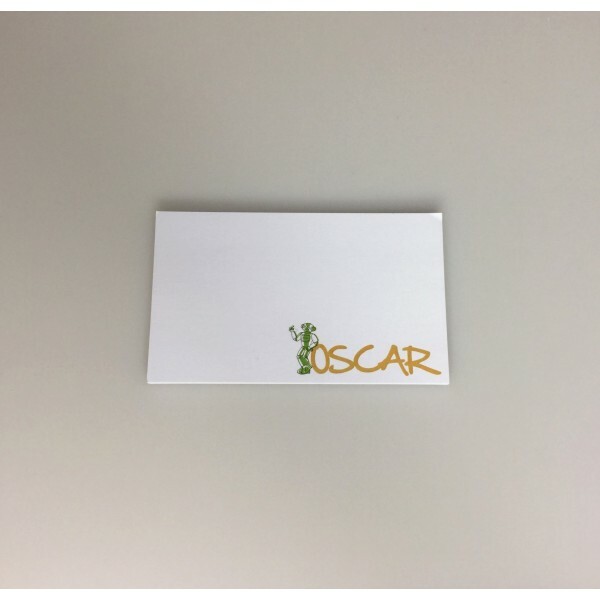 To custom print and personalise these sticky notes we require your images to be supplied to us in an EPS or PDF format saved with vectorized outlines. An Adobe Illustrator format is also accepted. Jpegs cannot be used and will require an artwork conversion for a small fee. For graphics that run to the end of the page, a 2mm bleed area is needed for cutting. For specific advice on graphics, please contact us.